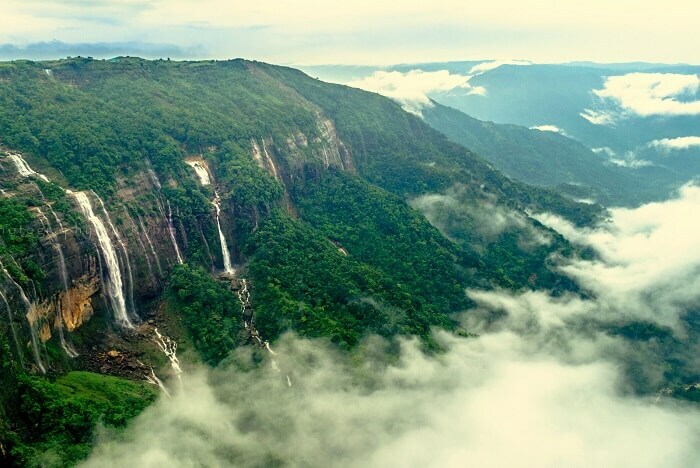 A burgeoning tourist destination with the ability to captivate and delight, the top places to visit near Shillong are an amalgamation of town-esque and rural so you get the best of both worlds. The capital of Meghalaya itself has the hallmarks of a town that’s rapidly becoming the go-to destination for tourists from nearby states and farther (read, happening cafes and nightclubs, new hotels and the expected traffic snarls). As you move outside, however, you’re introduced to undulating hills, quiet hiking trails and huge natural formations that will leave you awestruck. Check out these places to visit near Shillong that will enrich your holiday. 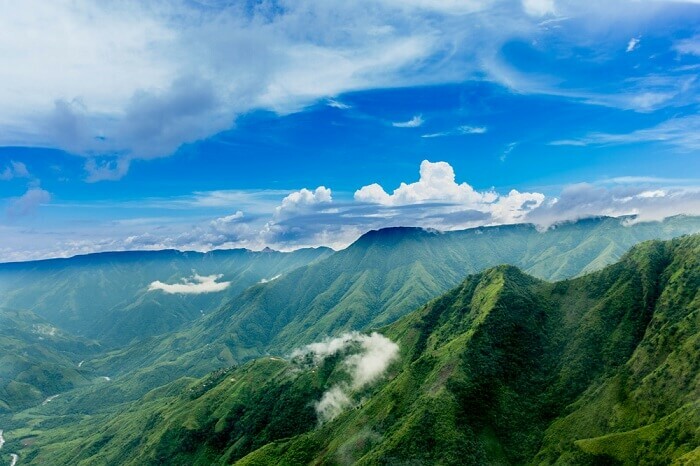 Shillong is a beautiful place in Meghalaya which is surrounded by equally pretty escapes. Listed below are some beautiful places near Shillong. Have a look! 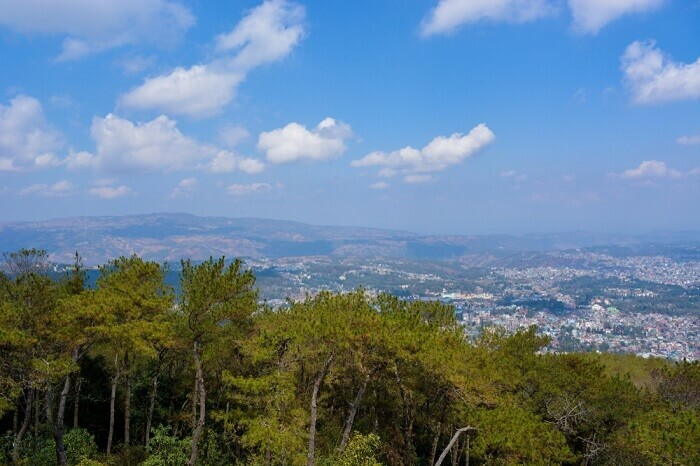 A popular stop just a few kilometers out of town, Shillong Peak – the town’s highest point – provides an expansive look at the capital with hills as the backdrop. The area is administered by the IAF and you’ll need to hand in identification at the entrance. You’ll want to carry a good camera to take photos as the air can get hazy. However, there’s a telescope installed to get close-up views of the town. 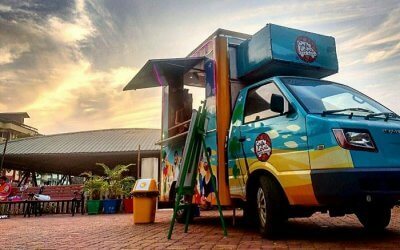 Take time to look around and have a cup of piping hot tea from the local vendors. Deep gorges and majestic hills rising in the distance await at Laitlum. You can spend hours exploring the meadows or just sitting down on the grass and admiring nature’s handiwork. Although tucked away from town, it’s no longer unfrequented and has become one of the most popular tourist places near Shillong. If you’re up for some pulse-racing adventure, head down the 3,000 or so steps towards the hamlet of Raslong. Seeing the residents effortlessly climb up and down the steep, meandering steps will leave you stunned and more than a little envious! A ways from the town in Mawphlang is an oasis of sorts with old trees and meadows creating an Eden-like world. The Sacred Grove is a protected forest overseen by a local deity. You can visit and admire the native flora and fauna but you aren’t allowed to remove anything from here – this goes for leaves, stones, twigs et al. The Sacred Grove has for long been one of the best places to visit near Shillong especially for those who love nature walks. Local guides will take you in and narrate fascinating tales of lore. One of the most popular places around Shillong for hiking enthusiasts, the David Scott trail is a 16-kilometer hiking route that starts from Mawphlang and ends at Lad Mawphlang in Sohra. The walk is easy although beginner hikers may find it a tad long. The trail winds around hills and crosses streams dotted with rocks. Pack a picnic as there are many scenic spots along the way. 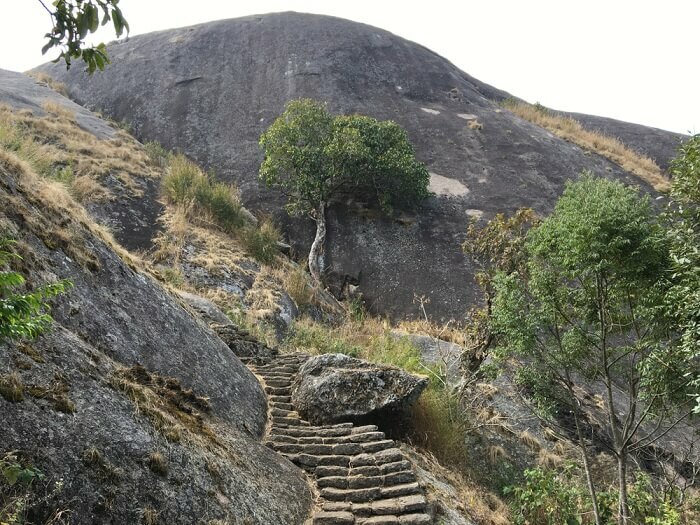 About 50 kilometers from Shillong and around 10 kilometers from Mairang in West Khasi Hills district is a huge granite rock formation that is a treat to climb (steps are built so you don’t need bouldering skills!). It’s believed that you can’t fall off the top of the rock owing to a magnetic field. However, we advise you not to try it anyway! Once at the top, seat yourself down and feel the wind refresh you. Take along a good camera for long-distance shots of villages in the distance. Nongriat is arguably one of the hottest tourist places in and around Shillong. It’s home to the iconic living root bridges, which are man-made and natural marvels that will take your breath away. The village is accessible by roughly 3,000 steps that wind down from Tyrna. 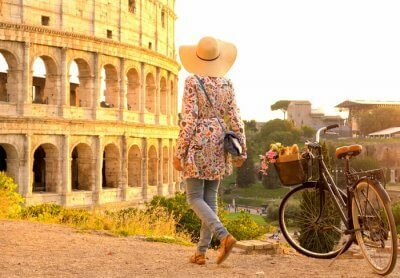 The walk itself is totally satisfying but the reward at the end is what visitors seek. Three living root bridges await, one of which is an impressive double-decker. Asia’s cleanest village of Mawlynnong is not just startlingly free of trash but it’s incredibly picturesque. 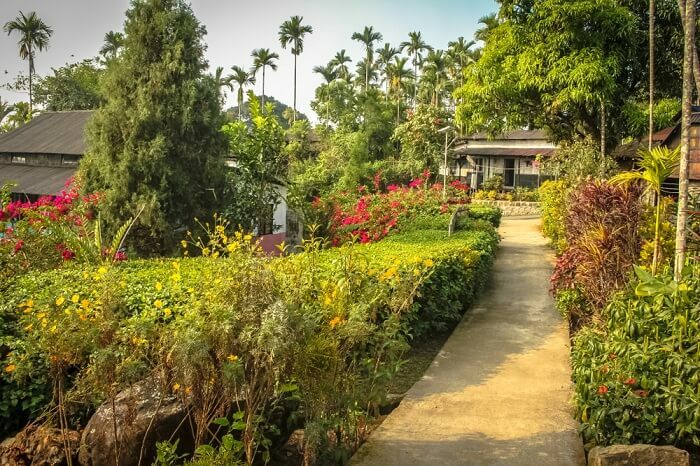 Traditional huts and houses dot the village while gardens create a kaleidoscope of colors. However, it’s not just cleanliness that it lays claim to; it has a high literacy rate at over 90 percent. The once unknown village is today the beacon of what teamwork and attitude can achieve. Walking through, you see it reflected in almost every aspect of life. 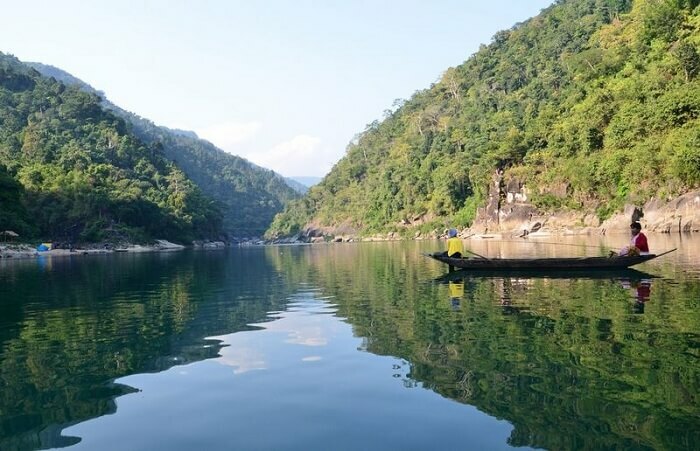 About three hours from Shillong in West Khasi Hills district headquarters is Meghalaya’s largest river island and the second largest after Assam’s Majuli. 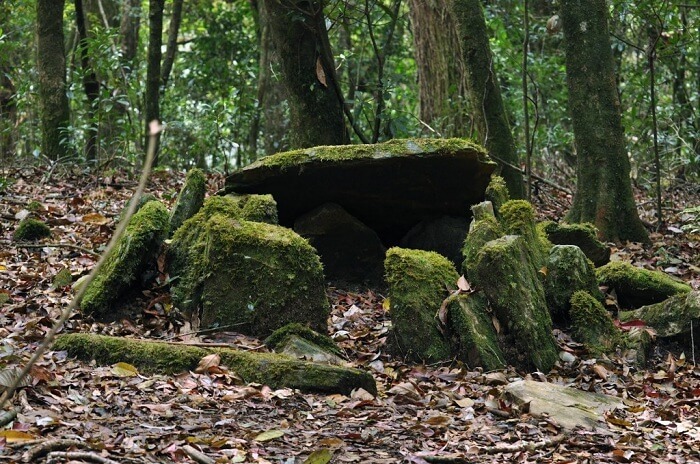 Nongkhnum is one of the best places to visit in and around Shillong although it is quite a ways off. 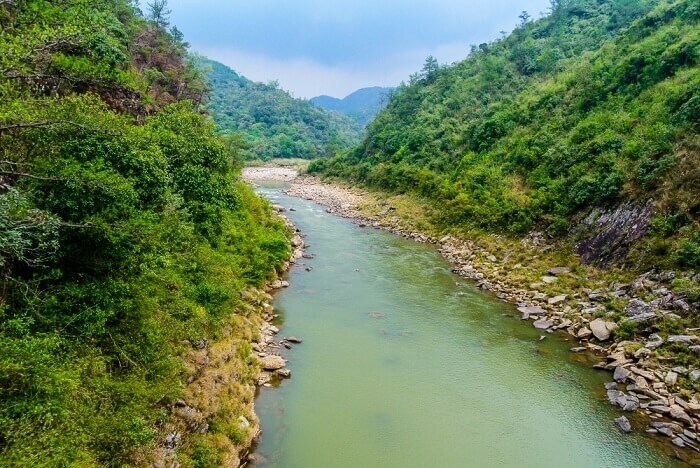 It’s located at the divergence of the Kynshi River as it splits into Phan Liang and Namliang. The sandy shores and grassland make for ideal picnic spots so pack a lunch. 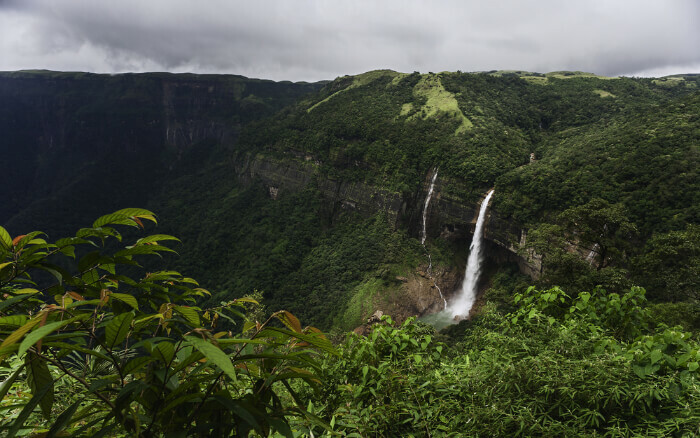 One of India’s highest plunge waterfalls is a feast for the senses especially during the monsoon. 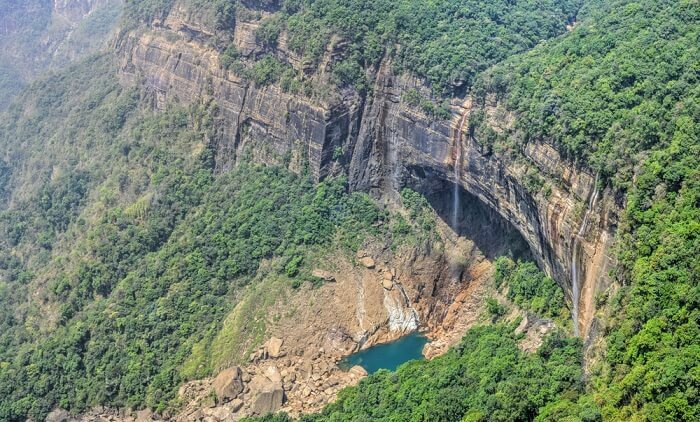 Nohkalikai Falls, one of the most visited places near Shillong, plunges into an ultramarine pool hundreds of feet below. Viewing points have been built at several areas so you can see the falls from different heights. Keep in mind that low-level clouds frequently roll in and can obscure the view. If this happens, you can head to one of the many eateries nearby where you can sit down to tasty snacks and wait for the clouds to pass. Head towards Jaintia Hills district and beyond the town of Dawki to find a village that is as idyllic as they come. 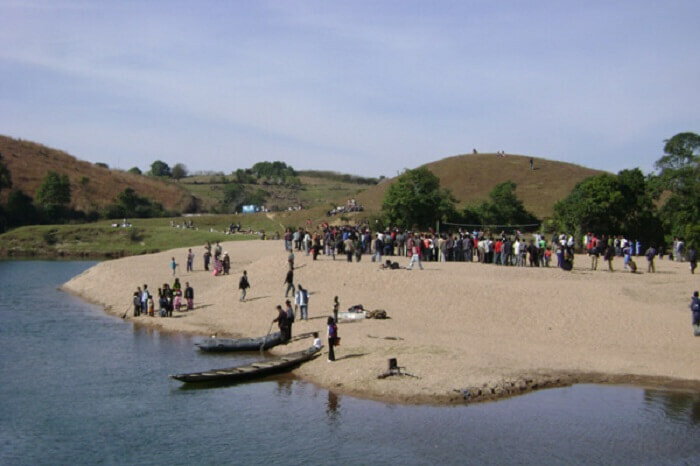 Shnongpdeng is very close to the border with Bangladesh and if you head straight without turning onto the road leading to the village, you’ll reach the border crossing point. Shnongpdeng is an adventurer’s mini paradise with camping, hiking and kayaking along the river Umngot some of the activities to indulge in. The village itself is known for its hospitality and there are comfortable homestays where you can spend the night. 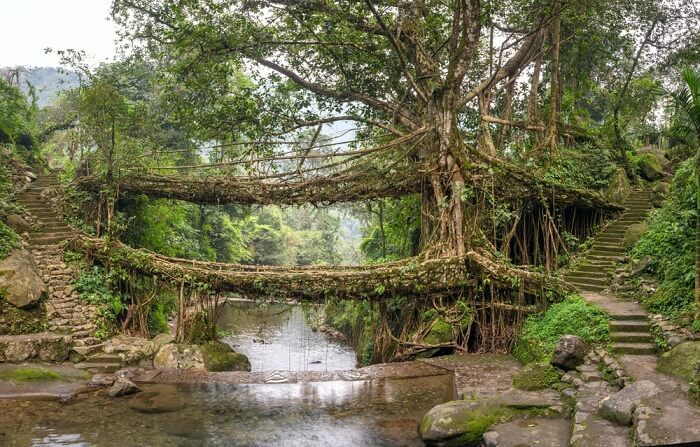 Cherrapunjee, famous for its living root bridges, is at a distance of 54 km from Shillong and takes around 2 hours to reach from Shillong. A weekend getaway, Cherrapunjee is a beautiful place to explore, due to its natural elements like the living root bridge. Hire a car and enjoy the two-hour road trip from Shillong to Cherrapunjee, to this bridge. The scenic vistas will make up for the time, and this town in itself too is pretty. There are various falls that one can visit in Cherrapunjee after the famous living root bridges, which is the top attraction in Cherrapunjee. Visit the Double Decker Living Root Bridge on your trip to Cherrapunjee from Shillong on your next trip. Jowai is a picturesque hill station in Meghalaya. It is around 70 km from Shillong and makes for a perfect weekend getaway from Shillong. 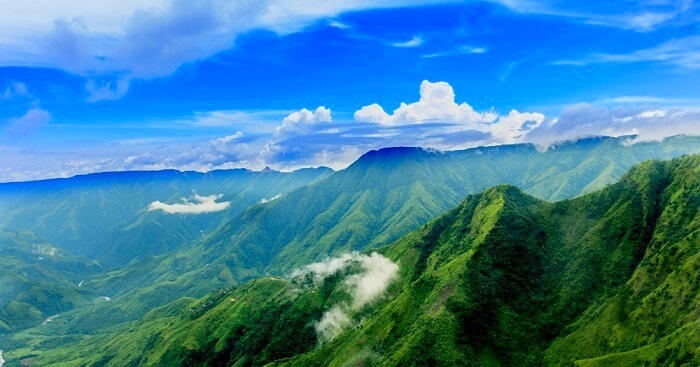 Located at 2 hours away, the drive from Shillong to Jowai is quite scenic. Call up a bunch of friends and head to Jowai, the pretty hill town this weekend. The border of Bangladesh is a mere 50 km from Jowai making it an important town. This hill town is really mesmerizing and has some of the most beautiful waterfalls in the vicinity. Also known as the Seven Sisters Falls, this is a famous waterfall in Cherrapunjee. 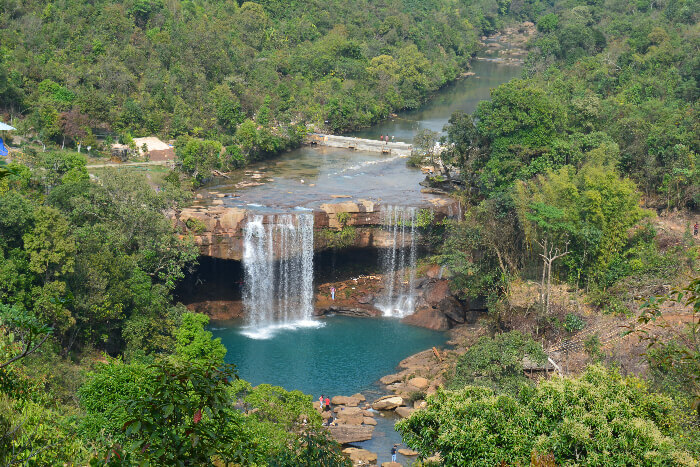 Located 2 hours drive away from Shillong, these falls make for a perfect escape into nature. Head to the falls, early morning and enjoy the scenic road trip between the two cities. Places to visit near Shillong, Meghalaya are not a few, as there is something or the other totally breathtaking at every mile. This is a seven segmented waterfall, which gives it the popular name, Seven Sisters Falls. Suggested Read: Breaking Records: World’s Longest Sandstone Cave Just Got Discovered In Meghalaya! If you are looking for a nature escapade then Nongkhyllem Wildlife Sanctuary is a great option. 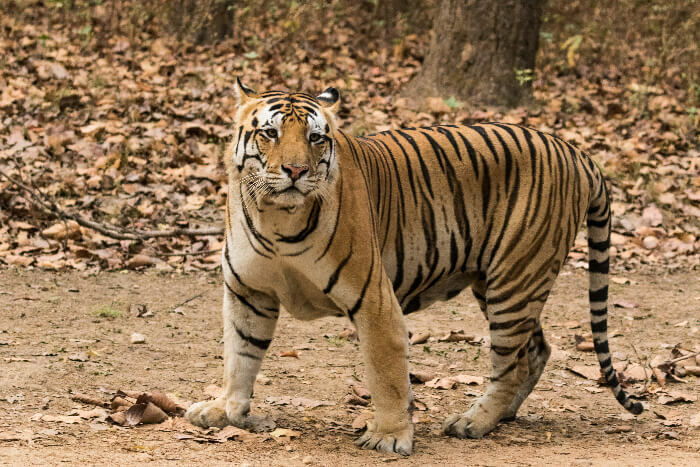 Not too far away from Shillong, this wildlife sanctuary is a haven for all nature lovers. The sanctuary has a natural lake called Birbah towards the south. There are two artificial lakes too close to this natural lake in the sanctuary. The summers here are hot and wet while the winter sees a cool and dry climate, making it a better option to visit during the winter. This is another place to visit when in Shillong. 3 hours away from Shillong, this is an amazing zoo in Guwahati. 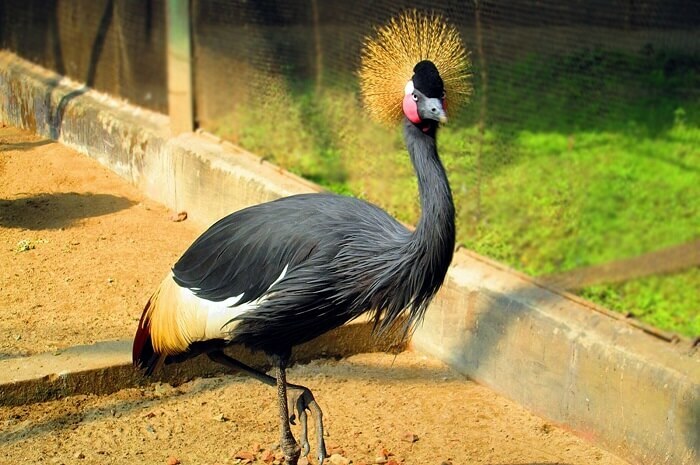 If one is looking for places to visit near Shillong with kids, then this zoo is the perfect place. 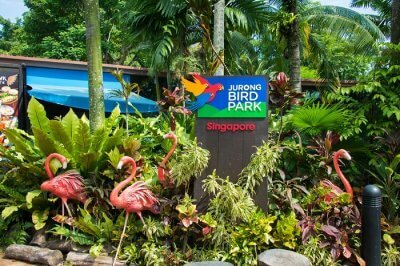 Sprawled over an area of 130 hectares, the zoo has a unique biodiversity of both flora and fauna. Built in 1957, the zoo has been welcoming people since 1958. 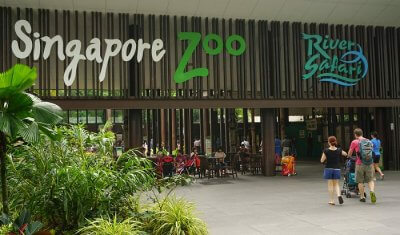 Trip to the zoo and watch various species of plants and animals here. These places near Shillong truly bring out its natural side and mesmerizing hilly vibe.s And if you too want to experience it, then we would recommend you to book a personalized Meghalaya trip with TravelTriangle and include as many places in your itinerary as you would like.